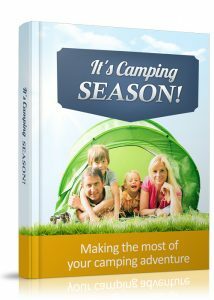 It's Camping Season - Making the Most of your Camping Adventure is the third installment in our exclusive series of PLR Ebooks coming from the desk of our formidable team and available only to our Platinum members! In this top notch eBook, we cover one of the most popular hobbies in the world. Camping! Did you know that many people actually take flights out of the country during winter to warmer climates in order to satisfy their camping cravings? Single people, groups, and even families have all either experienced the camping phenomenon or desire to at some point. So what is it about camping that everyone loves so much? Suffice to say, it's the opportunity to explore Mother Nature and live the way human beings lived at one point before civilization made things more cozy. To be outdoors under the stars in a tent is almost an adrenaline rush, especially for the adventurous types. And it's not because of the rush of living out in the unknown and not knowing what to expect. That would be borderline insane! It's because getting a little bit out of your comfort zone can be enjoyable experience. Not surprisingly, the popularity of this hobby shows in the statistics with a little online research. Camping is one of the most active keywords on Google during the peak of summer in North America. When kids get off school for a couple of months, they often go to summer camps. And adults seize the opportunity all the same and get to relive their bit of childhood. What's covered in this guide is ideal for campers of all types. You will learn how to prepare for your camping trip, the essentials to bring, how to stay safe, booking the right spots, and also minimizing mistakes by keeping a tab on the pointers we've listed within. This guide was as a matter of fact prepared by one of our talented writers who himself is an avid camper since childhood. So feel safe knowing that you're getting information from a real deal camper! The most important thing you need to do is have fun. When you're prepared, your mind is at ease and this guide covers everything you need to know and then some. Enjoy! 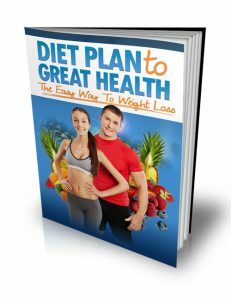 Diet Plan to Great Health - The Easy Way to Weight Loss is the second installment in our exclusive series of PLR Ebooks coming from the desk of our amazing team at PLR Behemoth and is available only to our Platinum members! In this guide, you will learn about the dangers of processed foods and how to cut down on unnecessary fats and sugars which are responsible for increasing weight. In a fast-paced world where convenience surpasses quality, nobody has the time or patience, and often at times, the money to cook healthy foods for the whole family day after day. People work hard just to ensure their survival financially and the last thing people have time to worry about is maintaining a healthy body. We become consumed by stress as a result of both the work environment and our day to day chores that we seldom even think about the harmful foods that we eat. But now is the logical time to really get a grasp on just how much harm you might be doing to your body and this book will be essential to helping to put you on a path towards a healthier lifestyle. An improved diet leads to improved focus and concentration and better health and it's only fair that you at least get the easy-access information so you can make an informed decision of which path you want to take; the path that you're currently on or the path to ensuring a happier and healthier future? There's nothing complicated about it. Everything is laid out in full detail along with various diet plans which you can follow. Get the knowledge you need by grabbing this guide today and start making strides to a new and improved lifestyle! It's never too late! 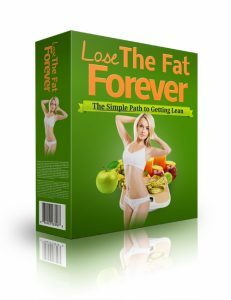 Lose The Fat Forever - The Simple Path to Getting Lean is the first ever installment in our exclusive series of PLR Ebooks delivered by the product-development team at PLR Behemoth and is available only to our Platinum members! In this incredibly well-written and easy to follow guide, you will gain an understanding of the more simple and logical methods out there to help you in achieving your fitness goals and becoming a better YOU! Plus, whether you are using this guide for your own personal education or if you're marketing in the $20 billion weight-loss industry, this tremendous package is everything you need and more! Specially written by a qualified personal-fitness trainer who is a well established author in the industry, you will also receive an expertly crafted and ready-to-sell minisite-salesletter along with original PSD graphics files and a private label rights license to top it off so that you can push forward without restrictions in one of the biggest and most in-demand markets in the world! As summer draws near, tens of millions of people all over the world are going to try to push forward in their fitness commitments and getting their trainers on for the outdoors. You can also guess how many people will be either buying or renewing their gym memberships with the aspiration of losing weight! As trends and statistics have proven, the brink of the new year and the coming of summer weather is when the weight loss industry booms and this is also where your opportunity lies for you to get a monstrous piece of that pie! But worry not because worldwide interest in this niche does not merely drop off as many other industries do. The weight-loss niche is evergreen, and come the good outdoor weather, many more hopeful weight-loss seekers will be looking for help on the path to good or better health. With this amazing product in hand, it's your destiny to making big things happen! There has never been a better time than now for achieving serious goals. So get on it and hit the download button! You'll be glad you did!